The Han river is famous for its unique and impressive bridges which across the river. 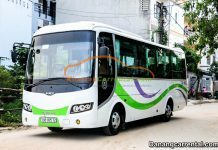 It is also an attractive destination in the inner city tour of Da Nang city. 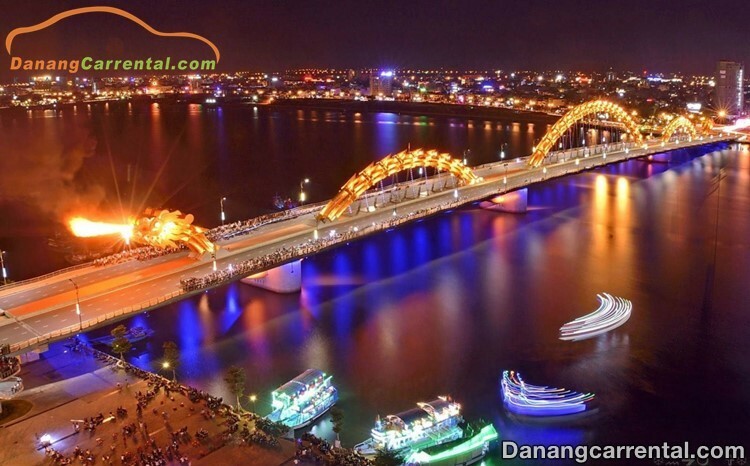 In particular,when gazing with veneration at the beauty of the Han river at night, visitors will feel a Da Nang city with a young, dynamic, romantic and lyrical beauty. The streets along the river have lots of bright lights, but the most prominent are the bridges connecting the East and West coasts. Under the shimmering lights, each bridge is a piece of art that exposes all the architectural lines and design ideas of each building. 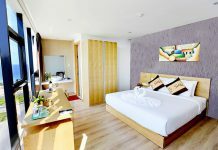 Connects Pham Van Dong street on the East side and Le Duan street on the West side of Da Nang city. The bridge has a length of 487.7 meters and a width of 12.9 meters, was officially put into operation in March 2000. 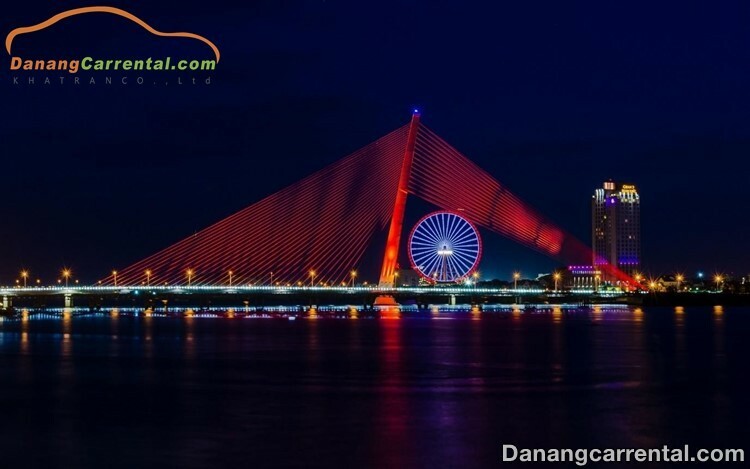 According to Electronic Portal of Da Nang city, up to the present time, Han river bridge is the only bridge that can rotate in Viet Nam. Specifically, at about 1 a.m to 4 a.m each day, the middle of the bridge will rotate 90 degrees around the axis and lie along the flow of the Han river to allow large ships to pass through. This is also the eagerly awaited time of many visitors to witness the rotative bridge of the Han river. At night, the sparkling bridge shines down to the river to give the viewers more levels of emotions. Cruising on the boat on the Han River is an entertainment service to attract tourists in Da Nang city and the people of the sea on hot summer nights. How excited we are when sitting on a boat cruising the Han river, floating on the water of the Da Nang city at night, listening to music, or enjoying the food on the boat. Those are really interesting for tourists when coming here. The river bank on Bach Dang street from the Han river bridge to the Dragon bridge is a place to gather many tourist boats sightseeing the Han river nightly. The tickets to cruise on the boats range from 100,000 VND to 120,000 VND/person, depending on whether you want to go near or far. 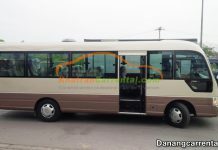 Normally each trip lasts about 90 minutes. Dragon bridge is the seventh bridge and also the newest bridge across the Han river. It was inaugurated in March 2013 by the joint venture of The Louis Berger and Ammann and Whitney. The bridge is 666.5 meters in length and 37.5 meters in width, is an extremely unique architectural engineering with the image of the dragon bending toward the East Sea. At night, if you stand from the high position, you can contemplate the beauty of the birdge brightly under the lights, prominent on the romantic and beautiful Han river. Not only impressed by the design lines, Dragon bridge is also a destination which is attractively crowded people and tourists to visit by the ability to spray fire and spray water extremely unique. When is the best time for you to admire the Dragon bridges praying fire and water? It is 9 p.m on Saturdays, Sundays and major holidays of the year. There are a large number of people and visitors gather on the Dragon bridge and along the Han river to await this impressive moment. Da Nang residents and tourists also go for a walk at the pedestrian walkway at Dragon bridge. It is not too difficult if visitors want to save the beautiful pictures by the Han river because there is always available photographic services delivered in place everyday. Tran Thi Ly bridge (new): about 1km in the South of the Dragon bridge, Tran Thi Ly bridge adorns for the beauty of the Han river at night with the effect from the color fullights of the 3 segments of cable stayed. The bridge was inaugurated on the same day as the Dragon bridge, with a length of 731 meters and a width of 34.5 meters. The high-sail-shaped architecture faces to the sea with a twelve-foot tilted mast which is a three-dimensional cable-stayed tower that gives a feeling of well-being but is also elegant and soft. Looking at the Han river at night, you can see the life on the both sides of the Han river being bustle all days and nights. 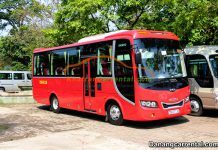 There are many new modern services which are already available to justify the needs of tourists. 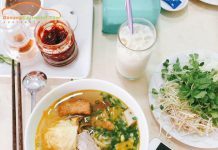 Sitting on a boat gliding on the water of the Han river, enjoying dinner or enjoying music or dropping yourself into the romantic space of the Han river at night are the best way to relax and feel Da Nang city in a very different way of many visitors. 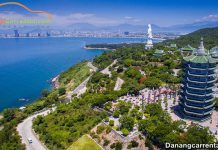 On both sides of the Han river, there are park sections displaying art stone statues, refreshments restaurants, and also some places where people coming here to drink cold beer by the Han river. 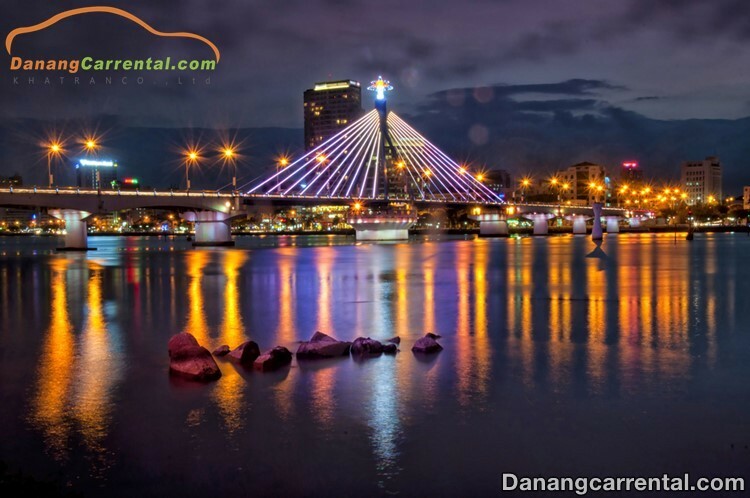 Contemplating the beauty of the Han river at night, you will find that you seem to love Da Nang city more because its strong development in the past and transformation to become a powerful tourist city today. 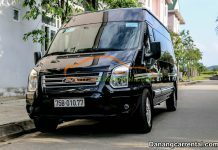 Car rental via hotline Ms Anna: (+84) 916510201 or Ms Katharine: (+84) 34 797 6789. Wish you have a fun trip with many memorable experiences.